As an educator, the challenges of teaching and caring for a traumatized child or youth in your school is very real. Following are a combination of hand-selected articles, handouts, links, and videos that we believe would be helpful to you as you interact daily with the effects of trauma and create a safe classroom and school to optimize learning. After years of practice and research, we are making available to you the findings and publications of like-minded specialists. These materials are a collection from our own clinicians and field experts as well as other credible professionals who practice in the realm of complex trauma. These materials are organized in a topical layout and part of our commitment to you will be to continue to build on these resources to provide you with the ongoing support that you need. We ask that you respect the copyright applications of material on this site as well as those on other sites that we recommend to you. You will notice that some of our resources are free and others will require a CTR membership to access. Sign up here. Below you will find some resources that we believe will give you an understanding of Complex Trauma and its effects on children and youth. These are a great starting place in understanding the impact complex trauma has on the brain and how we can better support our children in the healing journey. Please note, the resources listed within the topics below have been filtered specifically for Educators. For a comprehensive list of resources by topic, visit our Topical Resources page here. This article specifically address’ the different kinds of trauma that Indigenous children are exposed to and the reactions that may evolve (ie: ACEs, PTSD & affects in home and school). ACEs are potentially traumatic events that can have a lasting impact on youth and adults. This simplified calculator will help you determine what your ACE score is. An introductory video on the impact of childhood trauma, ACES and the connection between life long and chronic health conditions. Dr Jeffrey Brenner states, “I believe ACE scores should become a vital sign, as important as height and weight”. A short 5 min. video overview of ACEs, what they are and how they impact on lifelong issues over the course of a lifetime. Ongoing adversity in childhood leads to a chronic state of “fight, flight or freeze.” Researchers at Yale had recently shown that when inflammatory stress hormones flood a child’s body and brain, they alter the genes that oversee our stress reactivity, re-setting the stress response to “high” for life. When children are under the influence of an anxious brain, their behaviour has nothing to do with wanting to push against the limits. Once kids have a more solid understanding of why they do what they do, they will be well on their way to finding a better response. Here’s where the adults in their lives will make a critical difference. Navigating anxiety is an essential life skill that will serve them in the years to come. In the heat of the moment, try these simple phrases to help your children identify, accept, and work through their anxious moments. This blog written by an educator gives insight and practical tools into how to help your anxious child. Dr. Karyn Purvis explains in this audio bite the attachment cycle and how it affects a child behaviorally and neurochemically when he or she expresses a need that is met or, conversely, when that need is not met and the impact of this cycle on a child’s behavior, self-regulation, and mental health. In this 8 minute video, Dr. Karyn Purvis explains the importance of attachment and the difficulties presented for children that come from maltreated backgrounds. “All Children need to know that they’re precious and unique and special. But, a child that comes from a hard place needs to know it more desperately”. Healthy development in the early years provides the building blocks necessary for the developing child. This three-part video series gives us a much better understanding of how early experiences are built into our bodies and brains, for better or for worse. Dr. B.D. Perry gives a brief introduction to core concepts regarding brain structure and function that provide the basis for developmentally sensitive and trauma-informed caregiving, education and therapy. Chronic neglect can actually disrupt and weaken the developing brain architecture. This 20 page article provides scientific analysis of the effects of neglect, implications as well as the impact of intervention for maltreated children. A fun-filled activity book about the brain for children in grades K-3 (ages 5-9). Provides an introduction to how the brain works, what the brain does, its importance, and how to take care of it. An addition to It’s Mindboggling!, this publication is a closer look at learning and memory, the senses, drug addition, and how the brain and nervous system work, for elementary and middle school students. Resources packed with information about the brain in a fun format of games, riddles, and puzzles for elementary and middle school students. An online resource to help children understand their brains and nervous system. Easy language for children. What is emotional regulation vs. emotional dysregulation? This publication guides caregivers and educators through an understanding of contributing factors to emotional dysregulation and helpful strategies to implement. Emotional regulation refers to a person’s ability to regulate their emotional responses. Childen in particular, need to be taught this skill and often act like they are ‘out ofcontrol’. This article highlights practical skills to aid your child in self mastery of their emotions. This initiative is engaging efforts throughout school districts to enable children and teens the skills to self regulate their emotions, anxiety, fears etc that would otherwise control and incapacitate them. This in turn is leading to successful in school and within their own lives. for them, and the world in general. This outlines in an easy readable format some of the beliefs to be aware of and practical ways to help. 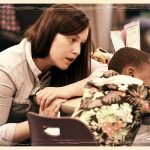 This 4-page article that address’ practical ways teachers and the education community can gain an understanding of and feel better equipped to support children of parents who struggle with mental illness. Teachers demonstrate and incorporate simple mental exercises in the classroom to promote mindfulness (7 mins). This is a practical sample of what a Family Care plan could look like for a student: inclusive of emergency #’s, family preference, schedule, what to do in case of an emergency etc. Trauma and PTSD are silent diseases. Victims often feel isolated and misunderstood and people suffering from PTSD may feel frozen in time, reliving their traumatic experience over and over. Continue reading to see how you can support those suffering from these debilitating conditions. In this video, Chris Ulmer takes the time to pay several compliments to each and every one of the eight students in his special education classroom. This is the power of affirmation and resiliency statements in action. This handbook which contains valuable information for educators to help them on a daily basis as they work with students whose learning has been adversely impacted by trauma in their lives. This assessment helps you identify the activities that you would like to add to your self-care practice in each self-care domain. This assessment will help you highlight the things you are already doing for yourself and assist you in evaluating areas where there might be an imbalance in how you practice self-care. This assessment helps you identify what you do now (either well or poorly) to manage the stress in your life. A testimonial about how Jefferson County Public Schools in Louisville, Kentucky are seeing positive results from a district-wide commitment to the CARE for Kids program (Social And Emotional Learning) made just two years ago (6:31 mins). This article offers a practical guide for teachers on how to create a safe classroom in the first few weeks of a new school year. This 25 minute powerful documentary with renowned experts, share a new understanding of how trauma effects the development of the mind body system, and how it affects children’s behaviors and social relationships. This booklet aims to provide an insight into the many challenges that adopted children face, why these challenges might arise and various tips and ideas on how to manage key areas of difficulty for both parents and teachers. This “Toolkit” on trauma, gives information for educators, parents and caregivers, including facts, suggestions, psychological and behavioral impact of trauma by grade level and self care. Specialists offer helpful insights and practical advice in response to some critical questions that are commonly asked by adoptive and foster parents – video content. This article focuses on key insights that staff members working with traumatised children in various settings might find useful. He address’ three components to help ensure that staff provide the essential context these children need to heal and get back on the appropriate developmental path. This manual is an aid to better support teachers and staff who are supporting children and youth who have experienced traumatic events. It provides specific strategies on how to be a trauma informed and practicing classroom. This article describes the basis for providing a safe and healing environment for children in schools who need to recover from the effects of trauma. Basic assumptions, values, goals and the process that must be shared by all members of the system are described. This impacting 10 minute video prefaces the reason for why we need Trauma Sensitive Schools. This extensive article provides 129 pages of practical understanding of complex trauma, the considerable impact of domestic violence on a child’s ability to learn and practical tools to unfold the framework for being a trauma sensitive school. This 100-page article, shares the effects of prolonged trauma in children and its inevitable effect on their ability to learn, the science of neurobiology, how to provide support for a dynamic learning environment, integration strategies for a TIP school and more. This extensive volume of 140 pages, provides a clear, research and practice informed model of how to create a trauma-sensitive school with the hope of ensuring academic success for ALL children. Educators and schools do have an informed role to play in the lives of students struggling with unprocessed traumatic memories. This article addresses the correlation between being a trauma informed school and academic success. This 10 minute video gives an introduction to the crucial role that patterns of stress response system activation play in pathology and healing. This article focuses on child traumatic stress, especially that most commonly found among children involved with the child welfare system and looks at effects of child traumatic stress and the most effective treatments. An excellent article written by a collective group of clinicians which addresses trauma and its impact in the classroom. It’s notable for its content in recognizing potential risk factors and the application of TBRI principles and strategies so children can be successful in learning. We are committed to changing the lives of children and youth. Will you help us, to help you, to better help kids? Join our learning community and be an agent of change with children who suffer from complex trauma.